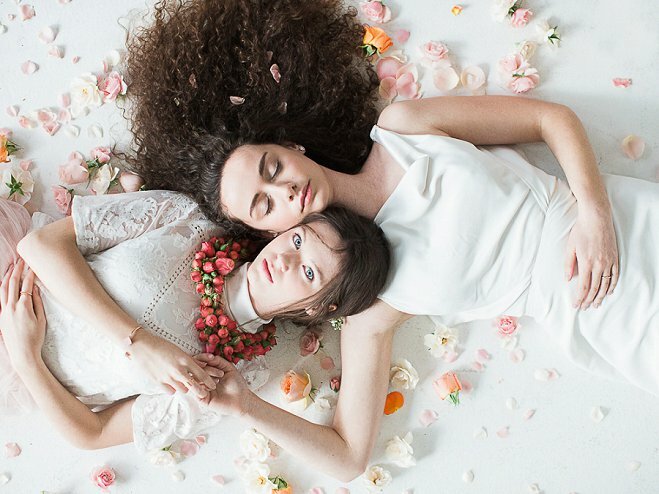 It's no secret that flowers can play a big role in the overall atmosphere of a wedding, and this ethereal shoot takes that concept to a whole new level. 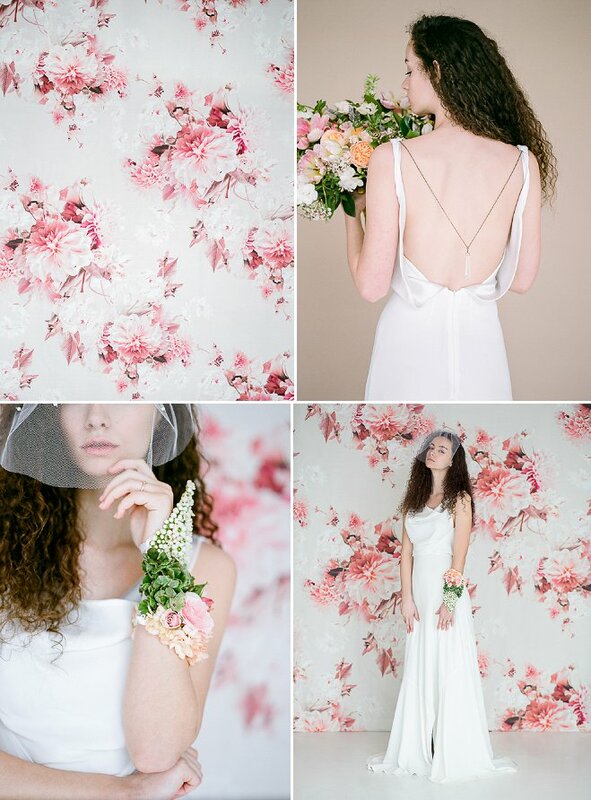 The bountiful blooms take center stage in both the fashion and decor for a uniquely modern take on bridal inspiration. 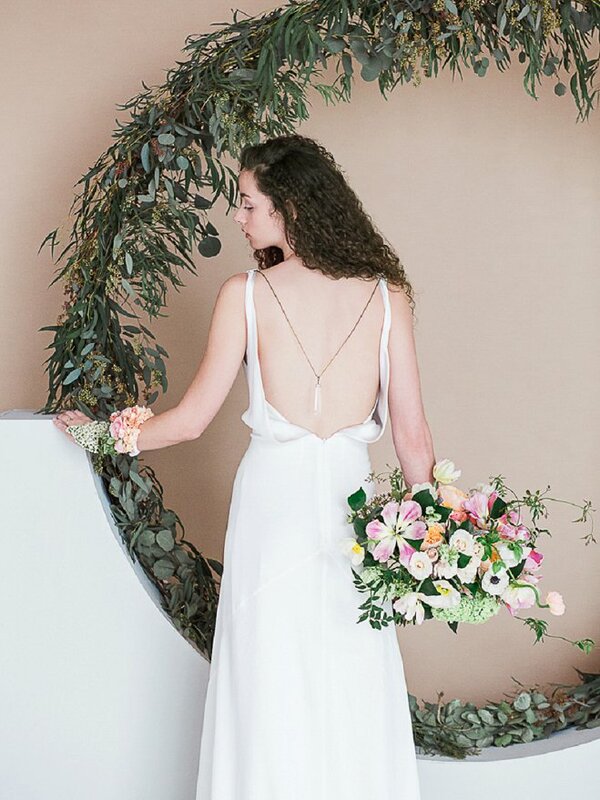 Floral cuffs, collars and hairpieces offer out-of-the-box alternatives for the bride and her maids, while a traditional bouquet embodies wild appeal. 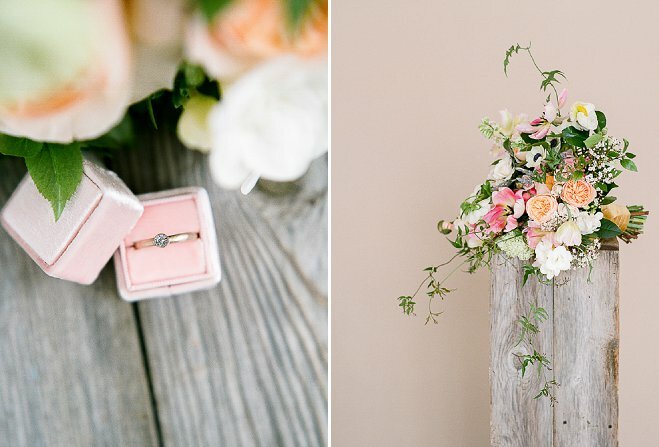 The large installations, perfect for ceremony backdrops, are dripping with romance, and we can't help but be captivated be each and every detail. 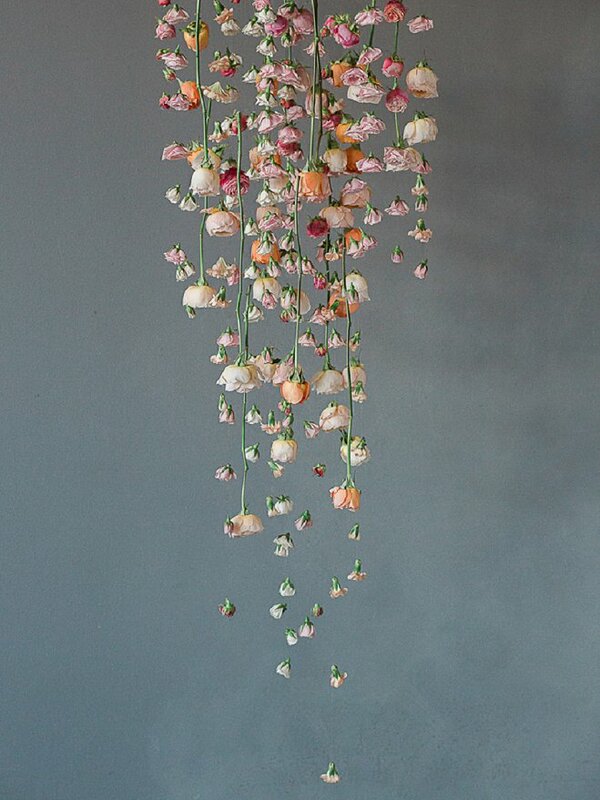 "Our concept all stemmed off of a backdrop I completely fell in love with from dropitmodern.com. 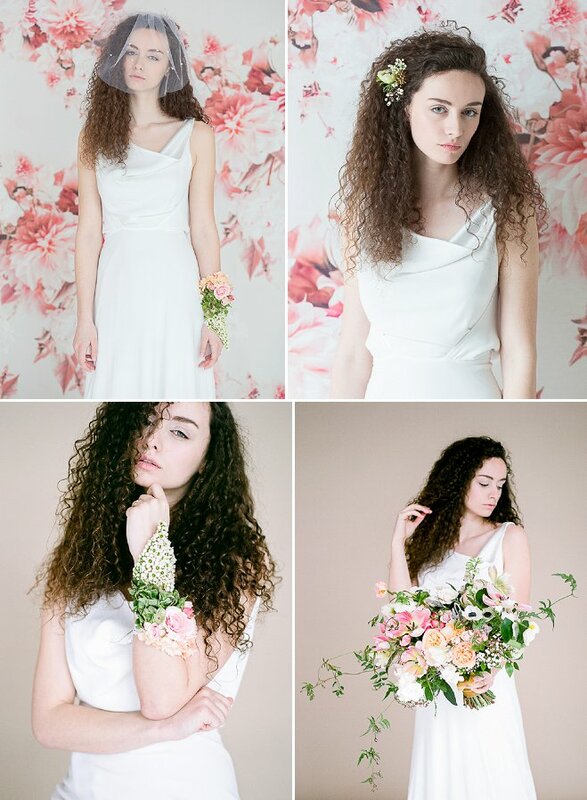 Jamyrlyn had also approached me and asked if I wanted to do a bridal shoot with her and I couldn't resist! 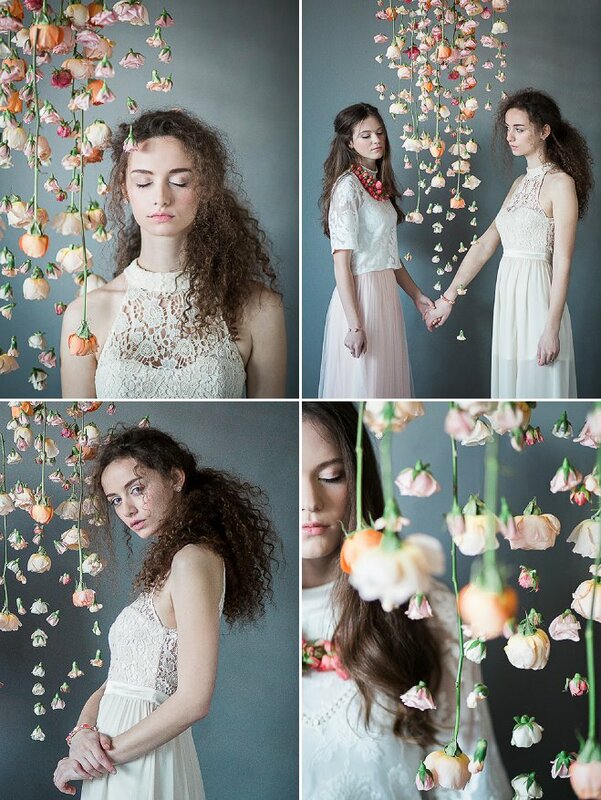 Once we had Emily on board, it exploded into a colorful spring-themed shoot. 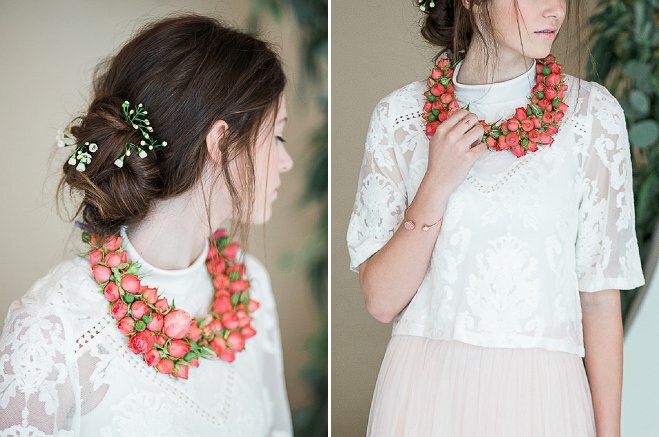 Emily created the most amazing wearable-florals (the bride's cuff and the bridesmaid's rosette necklace). 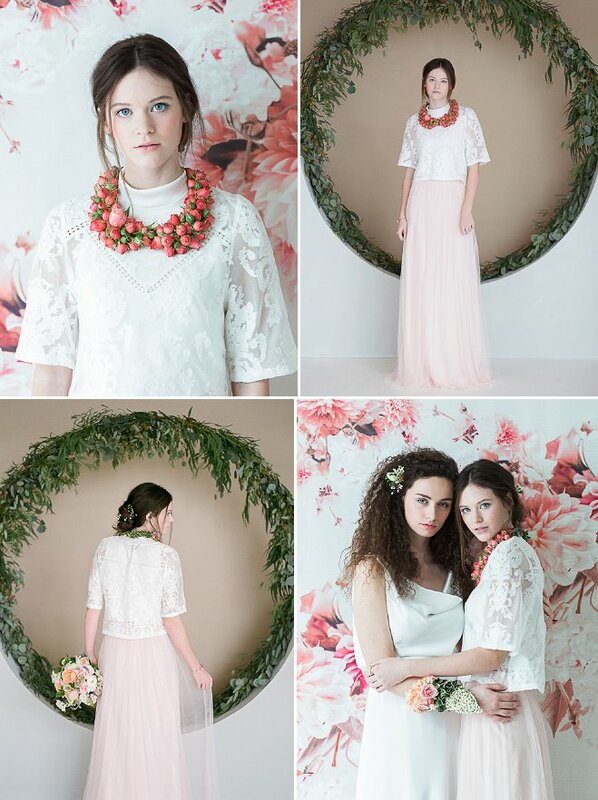 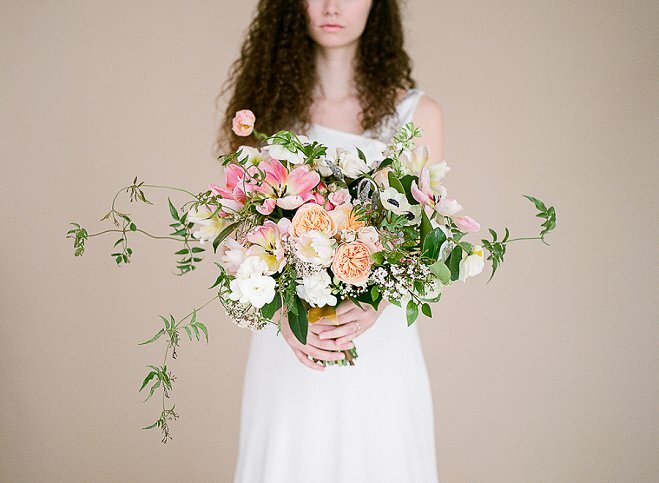 Emily was the mastermind to bringing elements of spring into the shoot and making them shine and to what we hope will serve as gorgeous inspiration for spring wedding elements."